If you use the BOSU® Ball, you are going to love this new dimension of BOSU® Ball training. If you don't, the BOSU® Elite will add a whole new dimension to how you train. 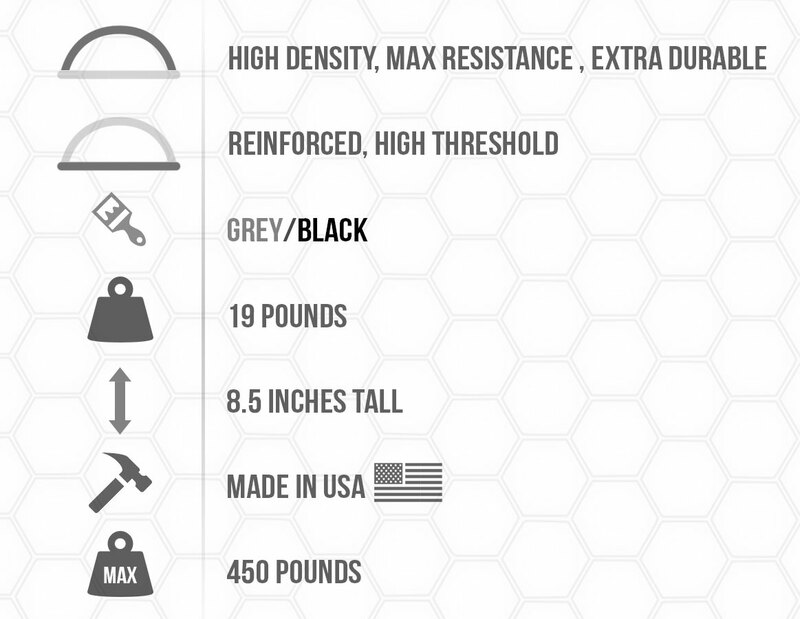 What makes the new BOSU® Elite so special? It's not about instability training, it's about resistance training. 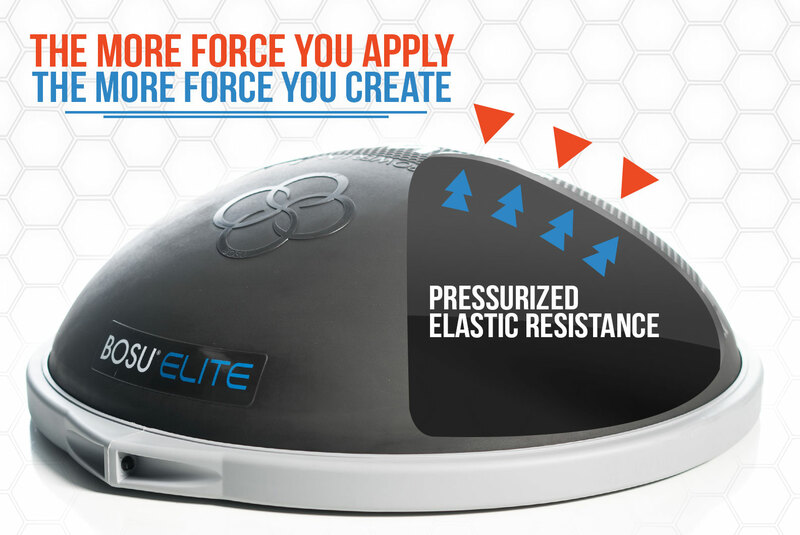 The BOSU® Elite's new high-density dome and reinforced platform are designed to generate a powerful elastic resistance- exciting untapped muscle fibers and bringing them to their max force limit. Everything you do on the BOSU® Elite is amplified. 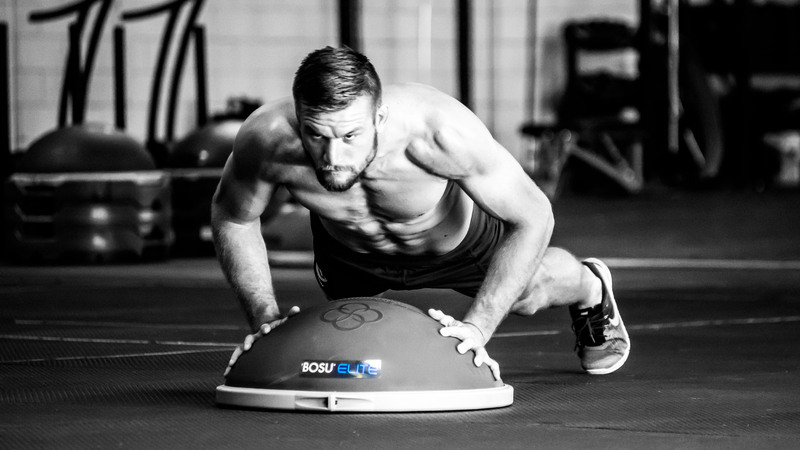 This is why the BOSU® Elite is the new go to training tool for top strength coaches, pro athletes, pro trainers, and fitness professional worldwide. The Elite's new high density dome takes the pressure you apply and turns it into dynamic elastic resistance to generate explosive power and dynamic isometric tension. 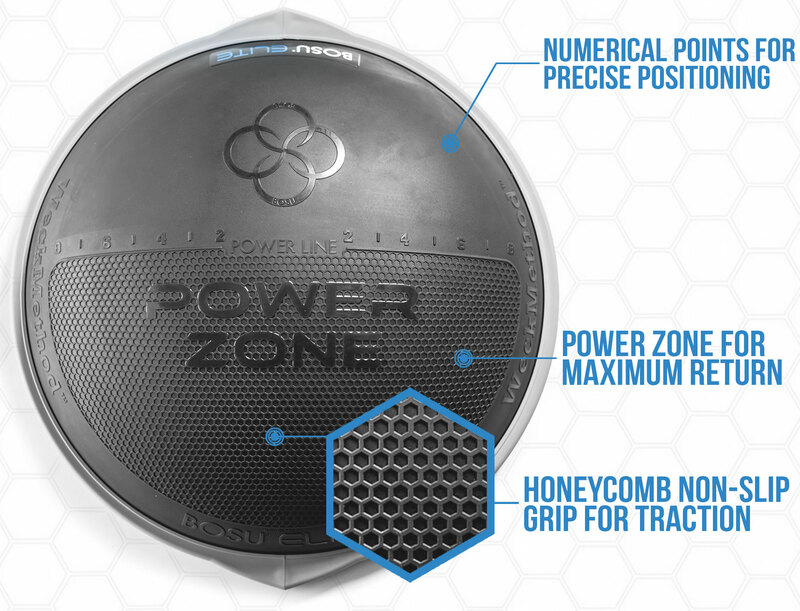 Because every inch of the BOSU® Elite's new dome can be used to create different force vectors and training stimulus, we created a Power Line for precise positioning and a Power Zone for maximum return to spring load movements. The BOSU® Elite's new dome offers the perfect marriage between resistance and stability, opening the door for a whole new dimension to BOSU® ball training. 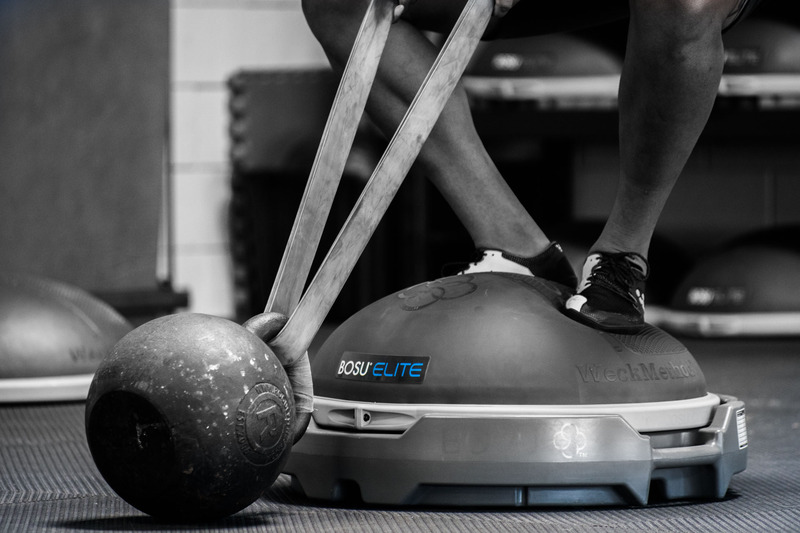 The Elite comes with all new BOSU® Ball training which focuses on resistance and compression. This new training methodology not only conditions your body for performance, it was also developed to target your glutes, pinpoint essential hard to hit areas (adductors, etc), build TRUE core strength and prime your body to be lighter on the ground, faster on the floor and more powerful under the bar. Compression Strength Training™ is exactly what is sounds like. By “compressing" the BOSU Elite's dome you create intense resistance which simulates your nervous system and excite your body's muscle fibers- literally making you feel lighter on the ground, faster on the floor and more powerful under the bar. "Priming" alone makes the BOSU® Elite an invaluable “every session" training tool. Priming sets are performed in less than 30 seconds, and they potentiate the body's nervous system in a way that enables you to lift heavier weights, run faster, jump higher and harness the full power of your posterior chain balanced through the balls of the feet. The Elite doesn't just amplify core training, it strengthens your foundational core by incorporating every part of your abdominals all the way through to your lats and stabilizer muscles. 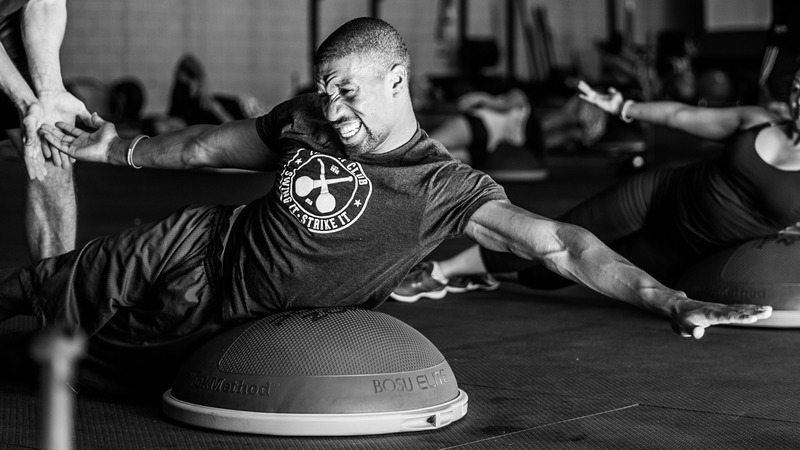 This is called Coiling Core Training™ with the BOSU Elite and is what makes training with the Elite truly special.